Once, there was a time when the women performers in the WWE were only used for eye candy, and their segments were more focused on raunchiness than actual wrestling matches. Their looks were more important than their in-ring skills. But in 2010s WWE began to change its approach towards Women’s Wrestling. It began in their developmental programme NXT. Women Wrestlers, like Sasha Banks, Paige, Bayley, Charlotte, and Becky Lynch were provided with good story lines and combining that with their in-ring talent, they produced some stellar matches. People started to notice the women’s wrestling, and soon their NXT success was transferred to the main roster when WWE began the Women’s Revolution. In 90's Japan, Joshi (women's) wrestling gained audience simply because of their wrestling skills. Manami Toyota, Akira Hokuto, Mayumi Ozaki, Aja Kong and Kyoko Inoue brought women’s wrestling to a new level. In 1994 the Japanese women headlined the Tokyo Dome in the first all-women’s show. Today, Women’s Wrestling has never been hotter. From Japan, US to Canada, Women’s Wrestling is continuing to gain more popularity. The rise of only women’s wrestling promotions like Stardom, Shine, Shimmer, Pro-Wrestling: Eve to name a few, have helped greatly in this rise. So, here are the top 10 women wrestlers wrestling today. 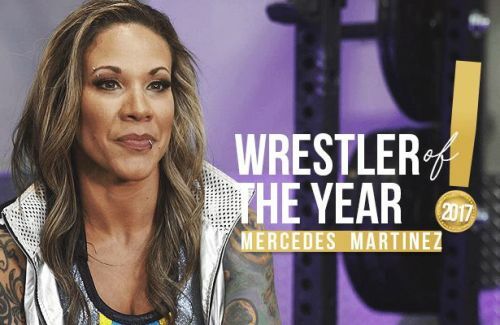 The 37-year-old Martinez has dominated the independent scene for the last 17 years, and has been the focal point of every locker room she has been a part of. Over the years she has worked for Shine, Shimmer, ROH and is a major player in World Extreme Wrestling (WXW). Martinez is a hard worker, and has made a name for herself in the independent circuit with her in-ring skills. She can play a technical game, as well as have a brawl with the best of them. Her mic skills are excellent and can cut a good promo. Martinez gives excellent matches, and has also competed in a variety of gimmick matches. Her matches with Angel Orsini brought WSU on the map. Their feud brought many firsts for women’s wrestling. They were involved in the first women’s bull-rope match and the first ever IronWoman match back in 2009. Martinez is one of the best female Wrestlers in the independent circuit, and it was sad to see her lose to Shanya Baszler in the semi-finals of the Mae Young Classic.